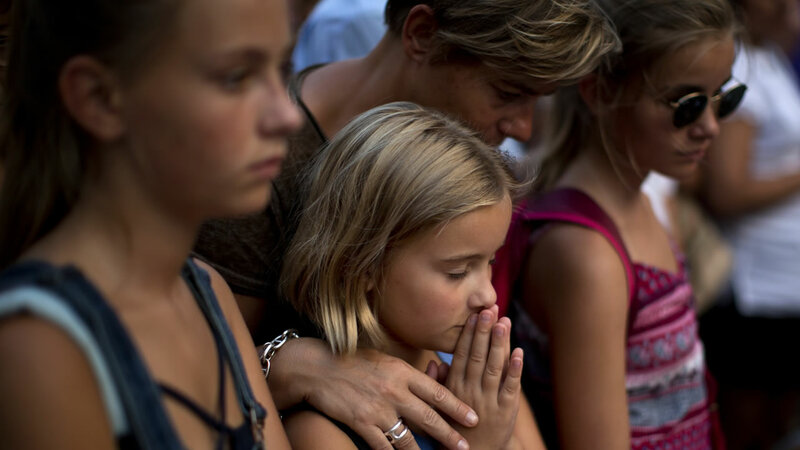 BARCELONA, Spain -- Spanish authorities say they have positively identified three more victims of the van attack in Barcelona, including a 7-year-old boy who has been missing since the rampage Thursday. Click here for more information on the horrific attacks in Barcelona. The Catalonia region's emergency services said Sunday that a boy with dual Australian-British nationality was one of the 13 people killed when a van swerved through a pedestrian walkway in Barcelona's Las Ramblas district. Nacho Solano, a spokesman for the Catalan government's emergency services, confirms that the child was Julian Cadman, an Australian with dual British nationality. The Australian, Philippines and British governments announced Friday that the 7-year-old son of a woman seriously injured in the attack had become separated from her and was missing. The other two victims identified were said to be Belgian and Italian. Solano said he could not name them. Spanish police say they are trying to establish if a man found dead inside a car on the outskirts of Barcelona is another victim of the extremist attack in the city. Senior regional police officer Josep Lluis Trapero said Sunday that investigators haven't yet linked the man discovered inside a car that struck two officers at a police checkpoint to either the Las Ramblas van attack or its suspects. Trapero says they are "working intensely on this inquiry." He says police fired on the car after it broke through the checkpoint within hours of the downtown attack Thursday. They initially thought they had killed the driver, but then discovered a dead person in the back seat. An examination found no bullet wounds on the body, according to Trapero. Trapero did not name the person found dead in the car nor say how he died. He says a person was seen running near the vehicle and police are investigating whether this person was connected to the van attack.